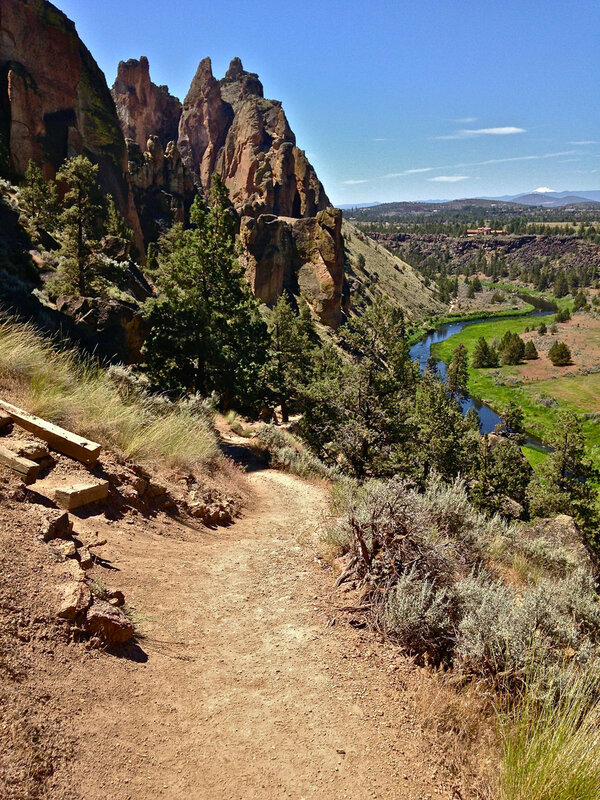 The first junction of the Mesa Verde Trail steeply climbs off the River Trail and up to the base of Monkey Face at Smith Rock State Park. 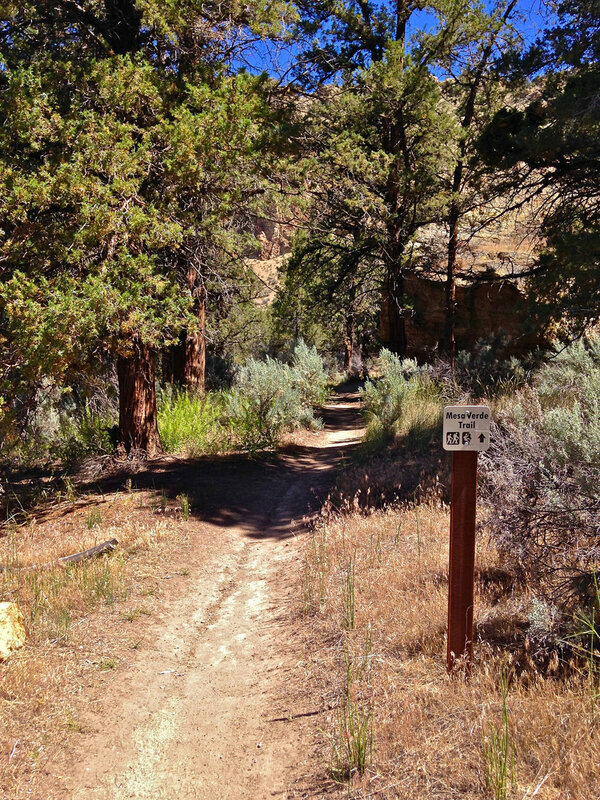 Continuing down the RIver Trail at Smith Rock State Park you come to the second junction of the Mesa Verde Trail. 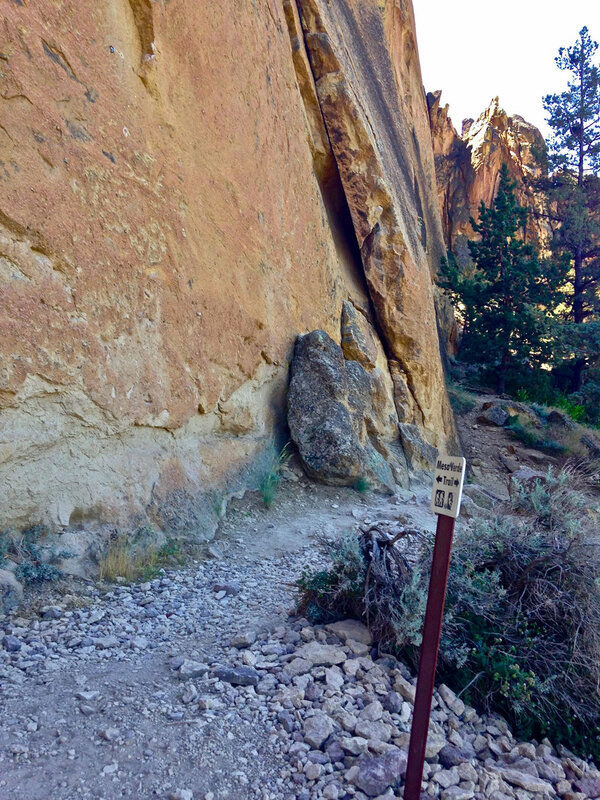 The Mesa Verde Trail after the second junction loops around to approach the back side of Monkey Face at Smith Rock State Park. 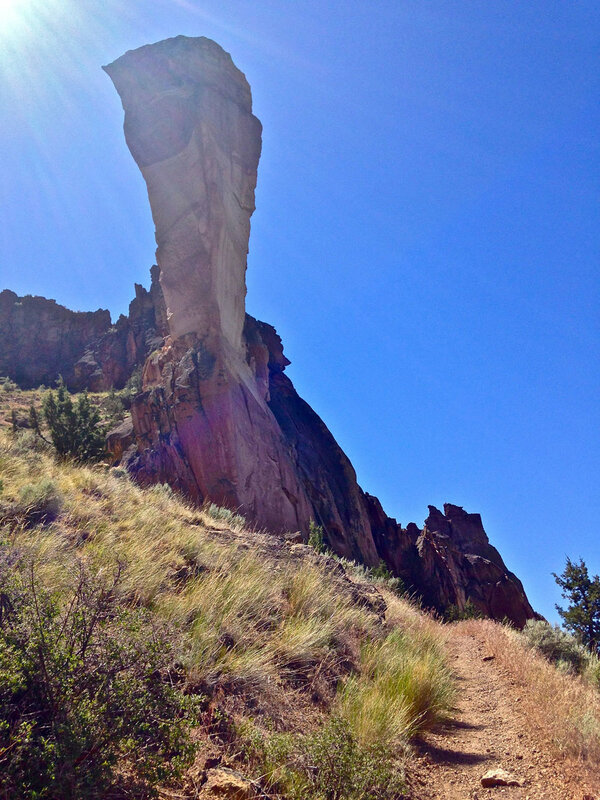 Ascending the Mesa Verde Trail from the backside of Monkey Face at Smith Rock State Park. 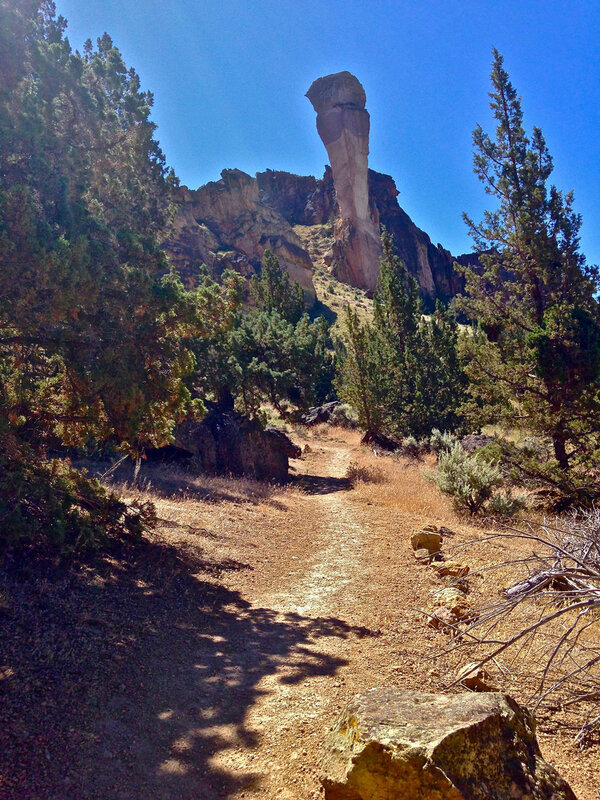 The Mesa Verde Trail continues to the base of the back side of Monkey Face at Smith Rock State Park. The Mesa Verde Trail meets the other half of it at the base of Monkey Face, as well as the junction to go up the Misery RIdge Trail at Smith Rock State Park. Continue to wind around the base of Monkey Face and down the other side to stay on the Mesa Verde Trail at Smith Rock State Park. 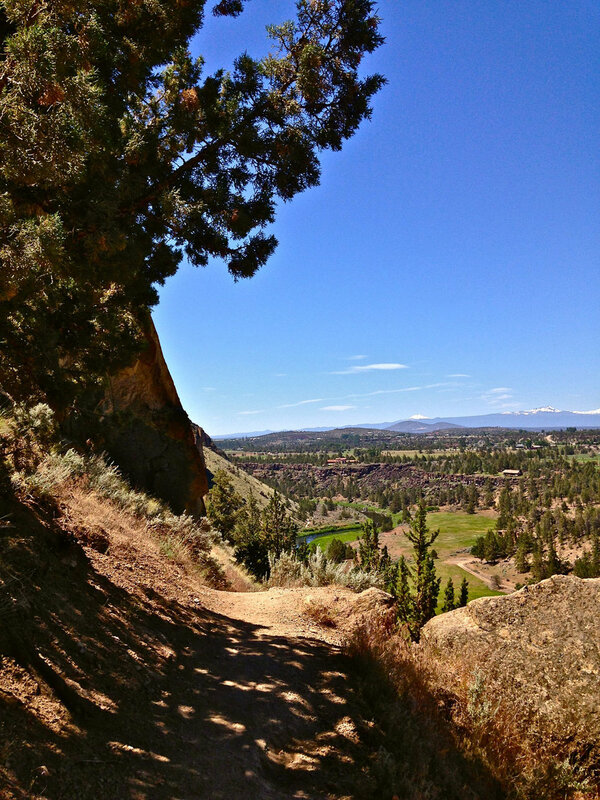 Heading down the Mesa Verde Trail back toward the main part of Smith Rock State Park. 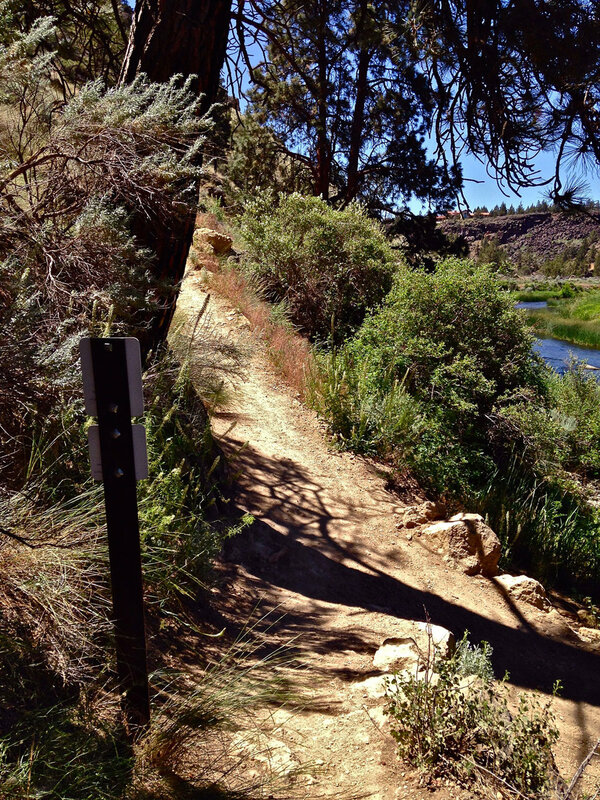 Follow the Mesa Verde Trail to the River Trail below at Smith Rock State Park. 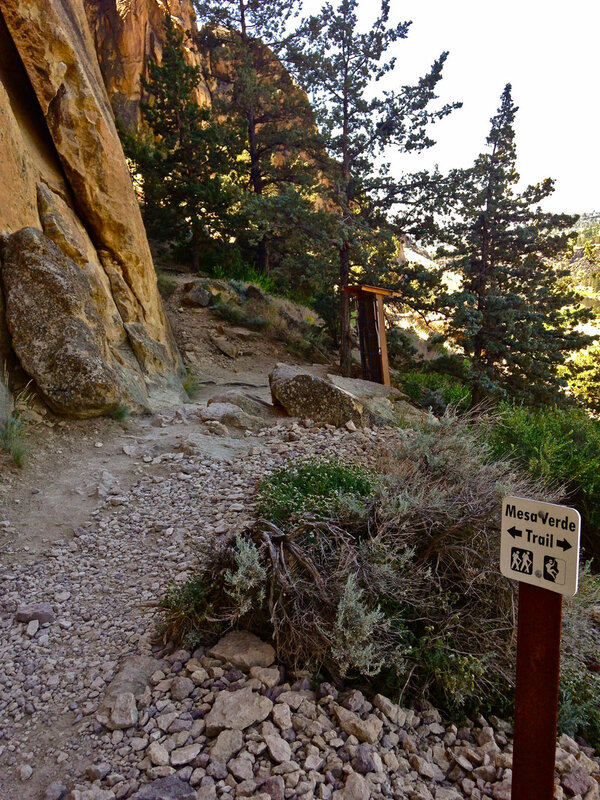 A set of stairs on the Mesa Verde Trail at Smith Rock State Park has been added to prevent more erosion. 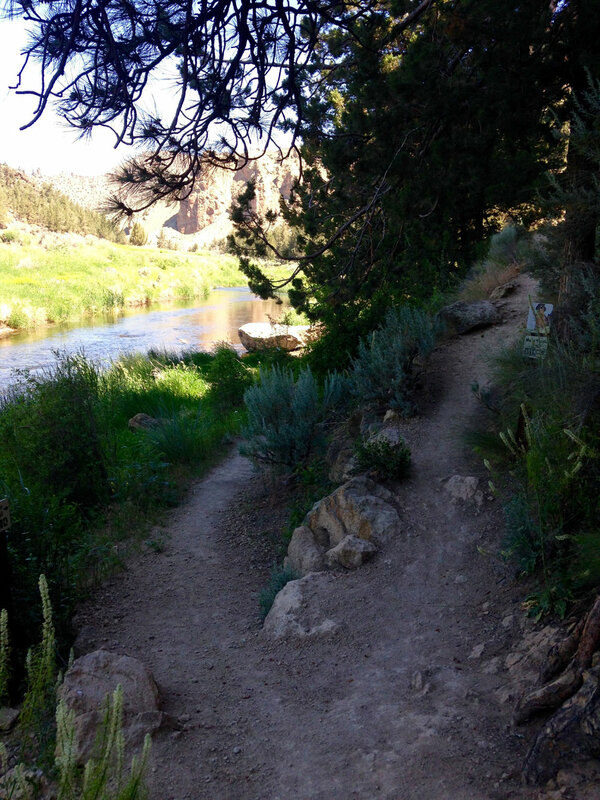 Finally back at the first junction of the Mesa Verde Trail at Smith Rock State Park where a left on the River Trail takes you back to the bridge. NOTE: Horseback riding and mountain biking are not allowed on all sections of the Mesa Verde Trail. Both meet up at the top of the Monkey Face climbing area. The first junction is just past the backside of Asterisk Pass. It takes a right up the hill to go past the Mesa Verde Wall climbing area. Follow it to the base of Monkey Face. 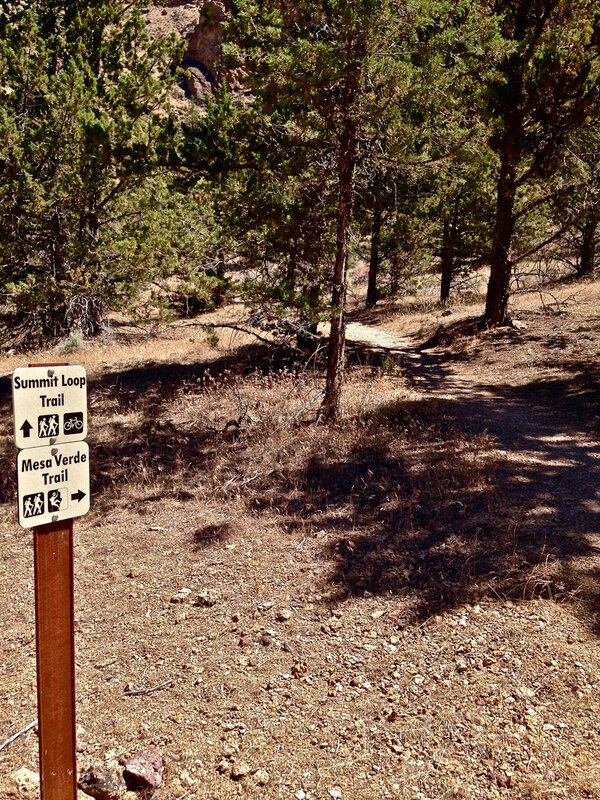 The second junction is reached by staying along the River Trail, then taking a right at the sign for Mesa Verde/Summit Trails. The trail doubles back past the First Kiss climbing area before reaching the base of The Monkey. From the base of Monkey Face go down the hill back towards the River Trail toward the first junction and continue on the trail until it descends to the river and back to the bridge. 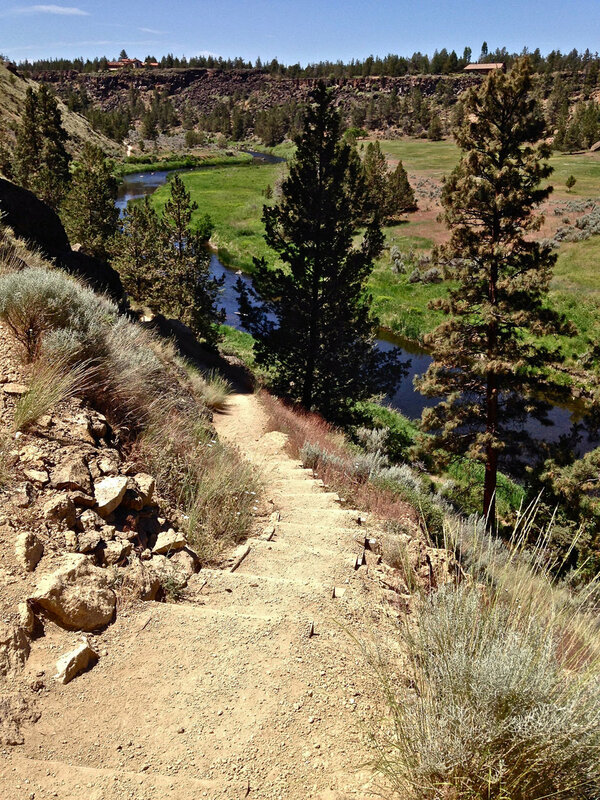 See the TIP below for some more "up" time via the Misery Ridge Loop. Want to make a loop with the ridge for some up close time with The Monkey? At the base of the Monkey, follow the stairs and switchbacks up the Misery Ridge Trail. Once at the top follow it along the ridge until it descends down a steep scree path back to the bridge.